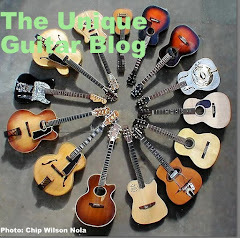 One of the Unique Guitar Blogs’ readers has sent me information on a wonderful new venture that he is offering. Joshua Gomes is a guitar player and a mechanical engineer from the Boston, Massachusetts area that has come up with a unique idea for a guitar capo design and I believe it is outstanding. He calls it the Sawmill Capo. The patent on this device is pending. His design is loosely based on the Dunlop version of the guitar capo. 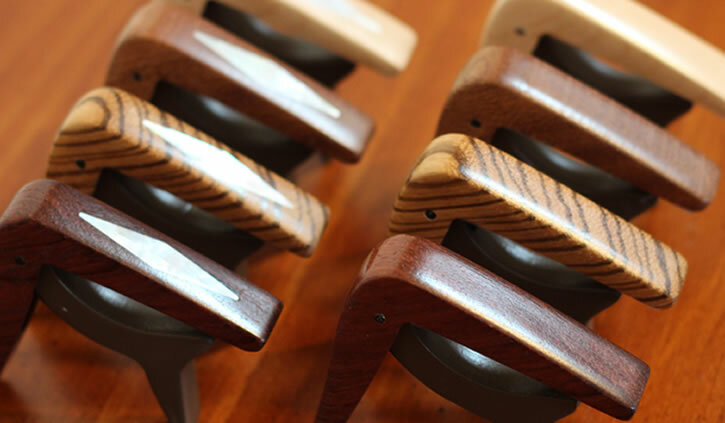 But unlike the Dunlop, the Sawmill Capo is made of beautiful hardwood. Not only is the Sawmill Capo functional, it is an awesome addition that highlights the aesthetic features of your guitar. Wooden capos are nothing new. Classical guitarists have been using them almost since the creation of the guitar. Those versions were made of a strip of polished wood that usually was strapped onto the neck with a short piece of the same gut used for old fashion guitar strings. Another less common version required holes to be reamed into the center of the fret board at different positions. The wooden capo strip that fretted the guitar had a short dowel attached at a 90 degree angle that could be inserted in the fretboard ‘holes’ and fastened. Steel string guitars require more pressure than their gut or nylon string cousins. Most modern capos manufactured over the past century were made of metal. But now the Sawmill Capo combines the beauty of a wooden capo and with modern design. It is essentially a work of art. Guitarists prefer different wood to enhance the quality of their instruments sound. Even electric guitars debate the virtues of maple or rosewood fretboards. Sawmill Capos offers a variety of four wood choices to address your preference. Your capo can be made using Maple, Rosewood, Mahogany or Zebra Wood. Like all other modern capos, the Sawmill Capo has one-handed capability to take on, off or reposition on your guitars neck. For an additional cost, you can order your Sawmill Capo with mother-of-pearl inlay that will match the inlay on your guitars fretboard. Laser etching is also a feature you can order on your Sawmill Capo. The first batch of 250 capos will be laser marked with the Sawmill logo and will come with a serial number. Joshua will be offering the Sawmill Capo starting July 22nd of 2013. You can order yours by going to this web address. Gay guitars!!!? Yep, you heard me right. Gay guitars are a creation of luthier, guitarist, and composer and watch maker Frank (Francois) Gay and were very popular with famous country singers of the 1950’s and ‘60’s. The elaborate designs on the guitars went well with the artist’s Nudie suits. Frank Gay was born to French Canadian parents in the town of Marcelin, which is a small city north of Saskatoon, on April 23, 1923. I first became interested in Mr. 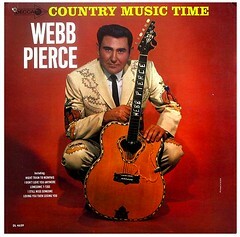 Gay when a friend posted a picture of a Webb Pierce album cover on Face Book. Pierce was holding this guitar that was all decked out in fancy inlay and binding and heart shaped sound hole. I had to find out about that guitar, which started me on my quest. Pierce's guitar pickguard was clear, and the binding was very unusual unlike other guitars I have come across. I did a little research and discovered that not only the body was elaborate, but the neck and headstock were exquisite. The headstock was like something I have never seen. This acoustic guitar had a six-on-a-side elaborately carved headstock. It was then I set out to find more about the builder. Frank Gay studied music at the New York School of Music. He was already a qualified watch maker, but his interest lay in music. Frank moved to Toronto to further his music studies under the tutelage of guitar instructor Norman Chapman, who later became his partner in a duo. For a day job, Gay apprenticed at R.S. Williams and Co. which was the largest workshop and Canadian manufacture of pianos and other stringed instruments. Frank spent two years working at this company, before setting up his own studio and shop in Edmonton. This was in the year of 1953. It was then that Mr. 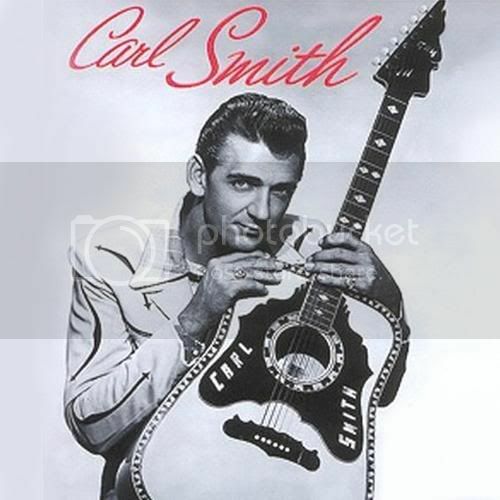 Gay set forth building the fancy steel string guitars that became so popular with country musicians. Johnny Cash, Don Gibson, Hank Snow, Carl Smith, Ferlin Husky, Webb Pierce, Faron Young, and Johnny Horton all owned at played Gay guitars. Three Gay guitars, owned by the latter three musicians, were once on display at the Country Music Hall of Fame in Nashville Tennessee. 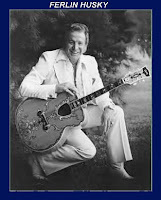 Perhaps the most unusual Gay guitar was made for country star Ferlin Husky. It currently resides in the Mac Yasuda collection. 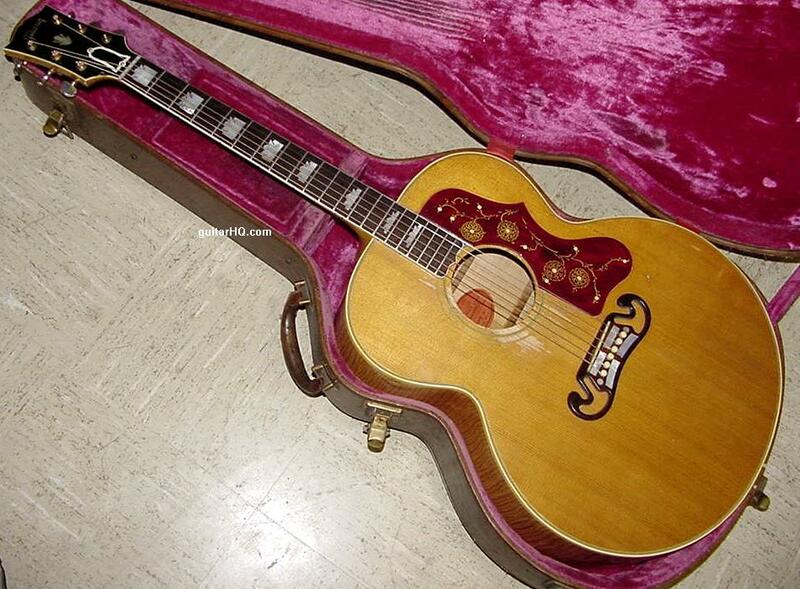 Many who have seen it, mistake it for a Gibson J-200 that was painted with unusual inlay designs that were not just on the head and neck, but included floral inlays on the guitars body. The sound hole on this instrument is almost triangular, similar to the one found on a Gretsch Rancher. The 3-on-a-side headstock is much different from any Gibson now or of its day. Unfortunately some of Gay’s early models did not hold up well due to the glue and bindings he used. Subsequently some of the instruments fell apart. Country stars like Husky and Carl Smith had relationships with big name guitar manufacturers. In the case of Ferlin Husky’s guitar, it was repaired by Gibson guitars and upon finishing, they slapped a Gibson logo over the Gay crest. 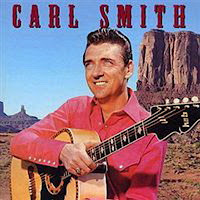 Carl Smith’s Gay guitar was repaired by Sho-bud. 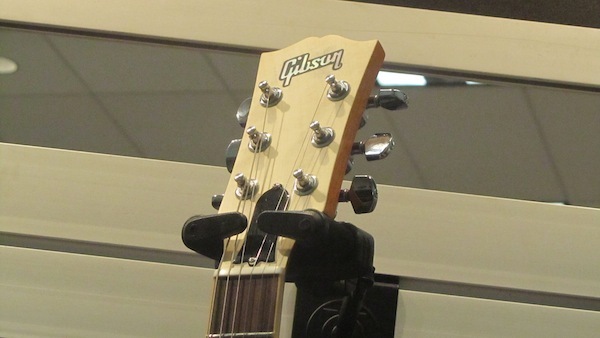 When the guitar was returned, the headstock featured a “Customized by Sho-bud” logo. It was in the mid 1950’s Frank was approached by someone from Canadian radio station CKUA. 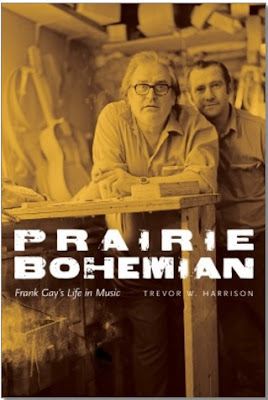 Frank was living in Edmonton, Alberta and building guitars in his garage. 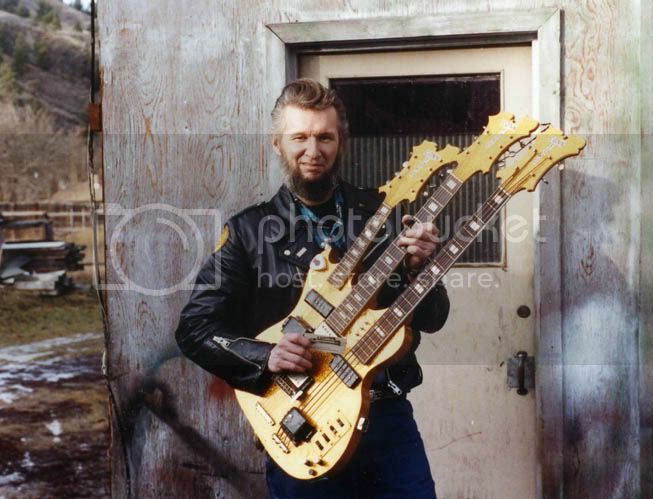 Word that a somewhat famous luthier lived in the same town as the radio station prompted an interview. Upon meeting the fellow from CKUA, Frank Gay put on an impromptu concert and played various genres of music, using a different guitar for each. The show's producer was very impressed. Frank was supposed to just do an interview for the show, however due to his talent he was asked to do a program on the station. This proved a blessing for the tiny radio station. Not only was Frank Gay a gifted luthier and guitarist, but he had a lot of friends in the music industry that he invited to be on his show. His show on CKUA lasted from 1958 to 1963. Frank Gay went on to make appearances on CBC and do pop music recordings. He has played concerts and coffee houses. In 1959 Frank Gay founded the Classical Guitar Society, which is possibly the first in western Canada. By the early 1960’s Frank had moved on to building classical guitars, using a Ramirez flamenco guitar (given to him by Carlos Montoya) and an Esteco classical guitar as models. Gay went on to build guitars for Montoya and Alirio Diaz. Gay has also built folk guitars, a small five course (10 strings) renaissance guitar, lutes, mandolins, banjos and even a few solid body electric guitars. Gay was noted for his fine inlay work and unique designs. To this day, the late Frank Gay is recognized as an innovative artisan and a major figure in the history of Canadian stringed-instrument making. Anonymous wrote below asking to see the Frank Gay double neck guitar. 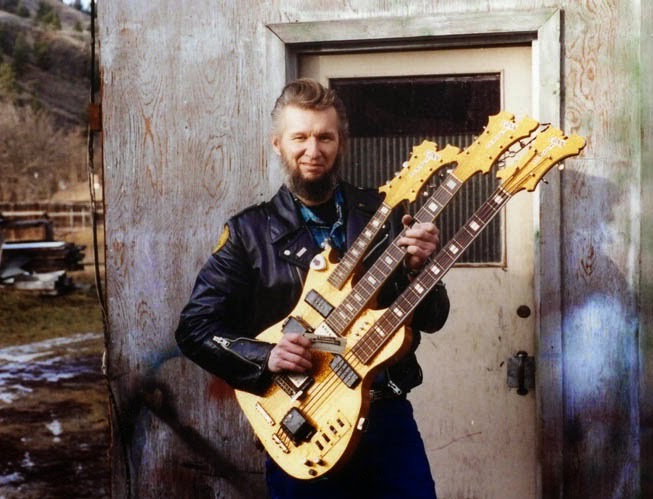 I could not find it, but I found a triple neck guitar that he made. Click on the links under the pictures for the source. Click on the links in the text for further information. For my Friend David Aldrich. Thanks for the music and thanks for The Gorey Stories. 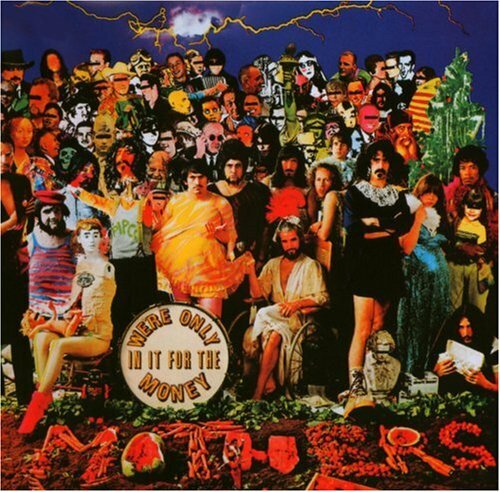 Frank Zappa was the father of The Mothers of Invention. He was a musical genius, an outspoken protagonist of Tipper Gore, a composer of rock as well as symphonic music, a conductor, an arranger, a father, husband, bandleader, humorist, registered trademark and a damn fine guitar player. 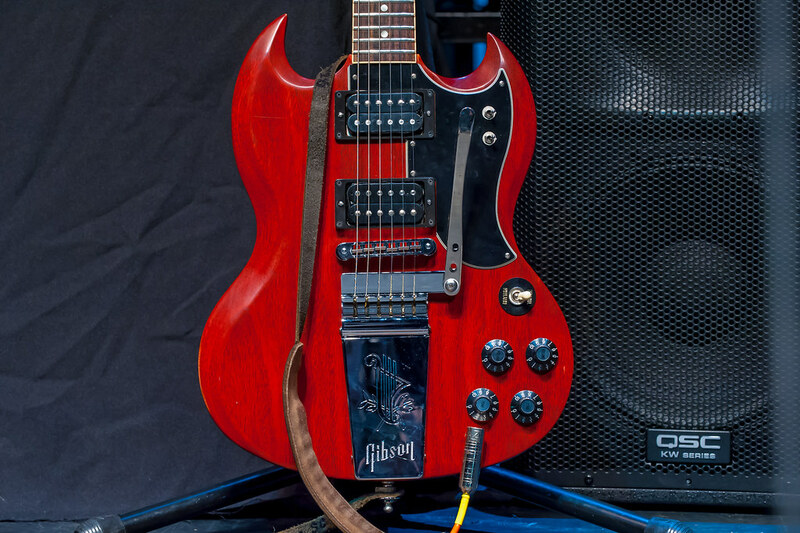 To celebrate the life of Frank Zappa Gibson Musical Instrument Company has recently unveiled The Zappa® "Roxy" SG guitar which was inspired by the modified SG that Zappa used in live performances. Only 400 units will be available. The new Zappa SG features two ’57 classic humbuckers that are routed through a pair of mini toggle switches which provide coil splitting and out of phase capabilities for each pickup. This is just like Frank’s original SG. The instrument comes with a slim 1960’s style bound neck that is topped with a blonde headstock. At the opposite end the strings are anchored to a Maestro Vibrola. The guitar has a Gibson Tune-O-Matic bridge and on the headstock are a set of Grover tuners. The body is made of solid mahogany, as is the neck. The 22 fret neck is topped with a rosewood fretboard with dot inlays and a natural finish on the head-stock. Frank gave his original guitar the nickname of Roxy. Frank’s son, Dweezil Zappa was very instrumental in assisting Gibson in the build of this guitar. Zappa’s original SG Special was an early ’60s model with the slim neck that was popular at the time and a stock smaller pickguard. 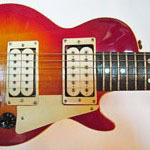 His pickups were P-90’s, which were original equipment. Like many other guitarists, Frank was after “a sound”, hence the addition of the toggle switches and electronics that gave him the signature ‘out-of-phase’ sound that is heard on many of his recordings. In an interview his son Dweezil tells us that Frank rarely used anything stock. For him it was all about getting the right midrange and controlling feedback. Some of Frank’s guitars even had onboard preamps. However the Roxy was not one of them. 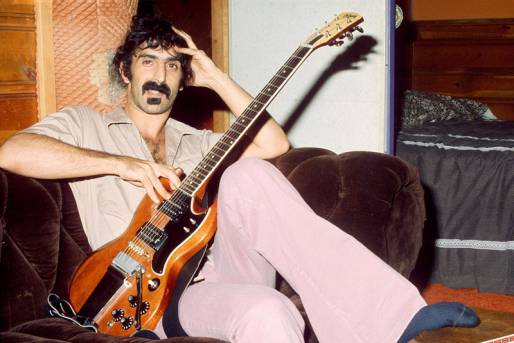 The younger Zappa states the Roxy guitar was once damaged by an airline. It was at this time Frank took it apart and started adding the electronics. 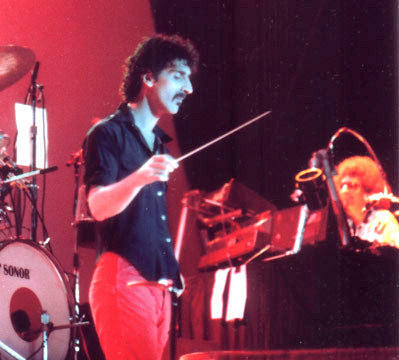 One of the tools that Zappa used frequently was the Pignose Amp, to get some of its classic overdriven sounds. 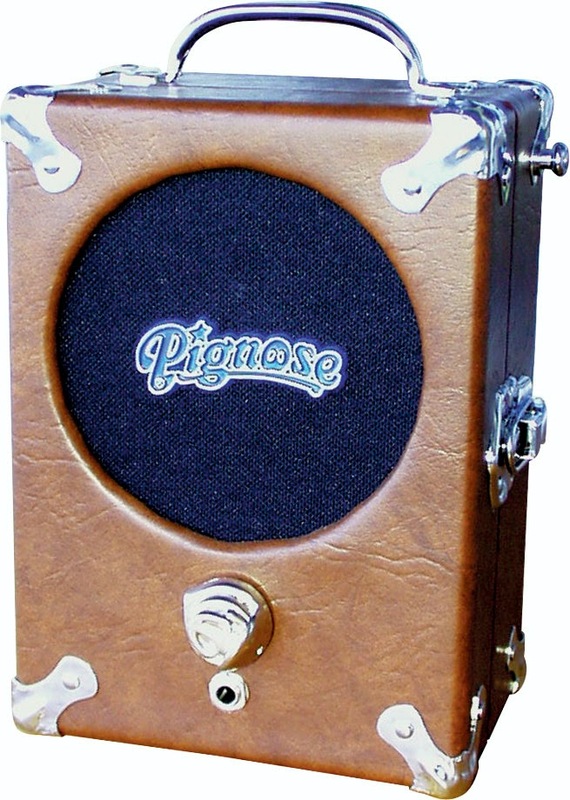 Frank modified the Pignose by adding two XLR jacks on the backside. I was fortunate enough to see Zappa and The Mothers of Invention play live concerts on two different occasions. Both were at the same venue, The Taft Theater in Cincinnati, Ohio. The concerts were about a year apart. At the time I was in high school and playing saxophone. I was enamored with the fact that Frank’s saxophone and trumpet player were using Maestro Electroniceffects that were designed for those instruments. But I was not distracted enough to notice Frank was playing an SG. To my young eyes this guitar looked like a distressed Gibson SG. It even bore a Gibson logo on the black headstock. However there were numerous switches on this guitar other than the usual pickup switching toggle and the four knobs. Although is looked like a Gibson SG, the guitar was in fact a very well made copy of a Gibson. Frank named this guitar The Baby Snakes SG, after a short film Frank made called Baby Snakes. 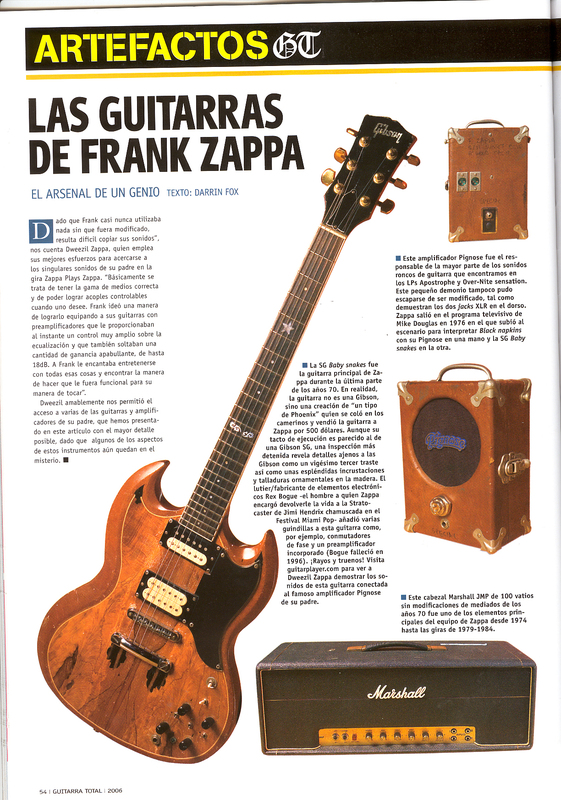 The Baby Snakes SG was the creation of “a guy in Phoenix Arizona” who somehow made his way backstage at a Zappa concert, with the intent of selling this guitar he had made. 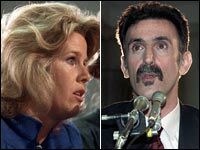 Zappa bought it on the spot for $500. 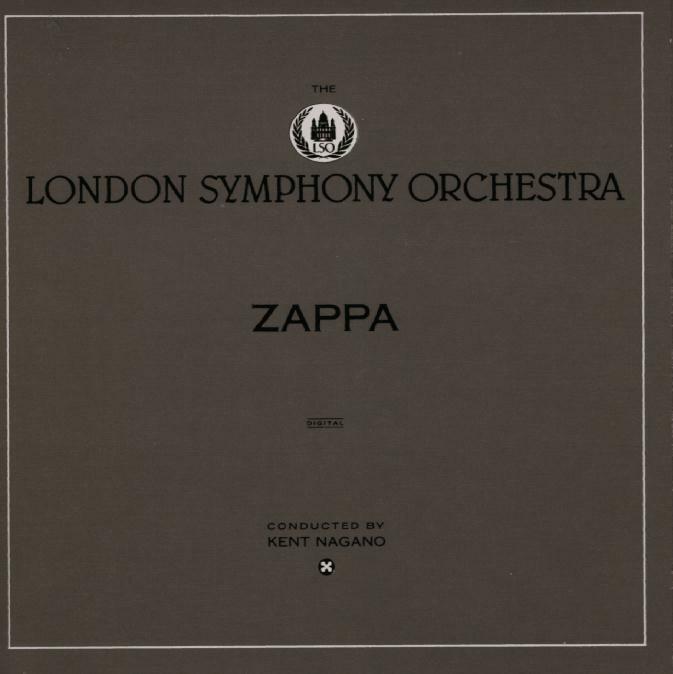 No one is certain whether or not Zappa knew it was a forgery. The Baby Snakes guitar looks like an SG, however there are some significant differences, such as a 23 fret neck with some unusual inlay. There is also some ornamental woodwork on the guitar’s body. And no one looking at it could miss all those toggle switches. 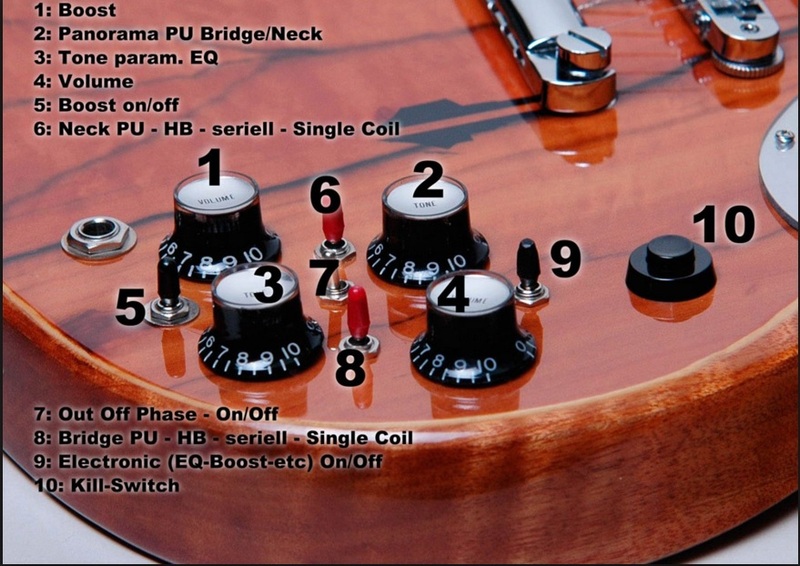 In addition to the pickup switching toggle, the guitar included a boost switch, an out-of-phase control switch, two split coil switches and an EQ booster switch. 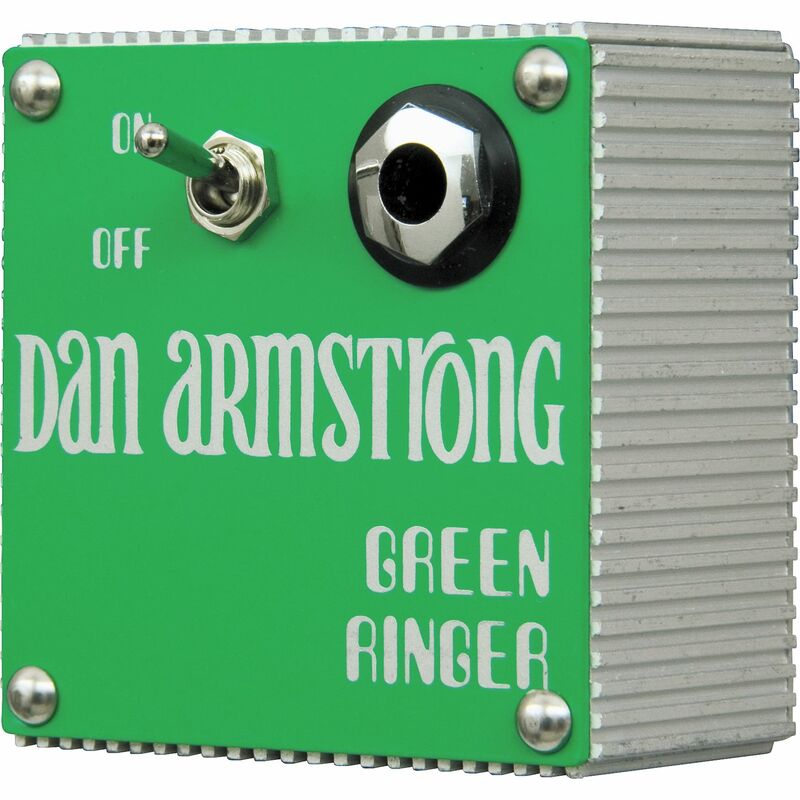 One of the switches may have controlled a Dan Armstrong Green Ringer (ring modulator) that would have been installed in the body cavity. 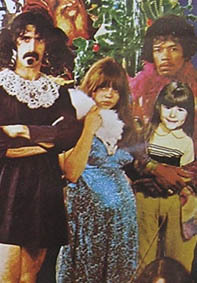 Frank Zappa was friends with Jimi Hendrix. 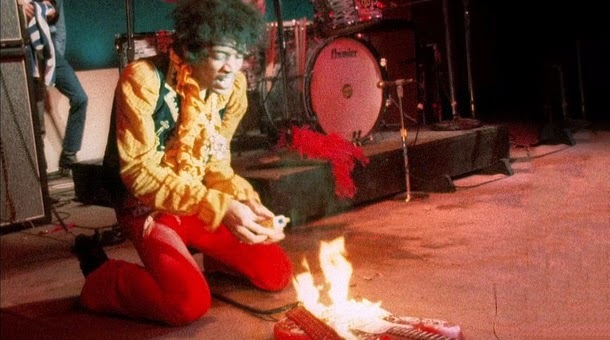 Both musicians played at the Miami Pop Festival where Jimi torched his Stratocaster as part of his act. One of Jimi’s roadies gave the remnants of the guitar to Frank. The neck and electronics were burnt beyond repair. Frank hung the guitar body on his wall for a long time and then decided to rebuild the instrument. He added some custom electronics which include a parametric EQ, a Barcus Berry pickup attached to the neck and a preamp. By some accounts, the story of the Strat states that Rex Bogue, who was a well known luthier, was the one who rewired the guitar. 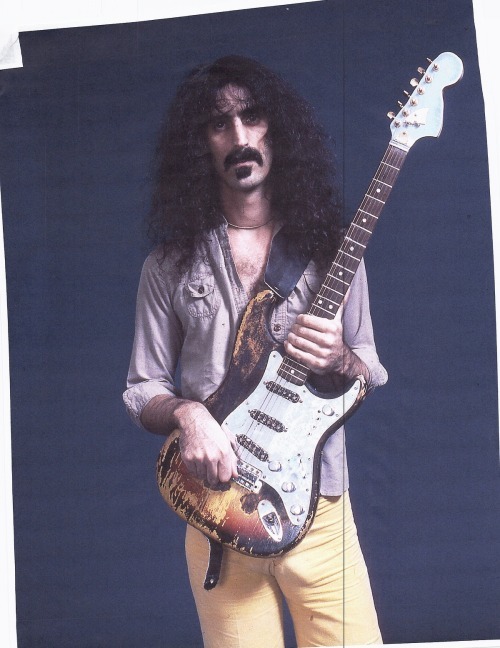 Zappa used the Stratocaster on stage and in the studio. At some point he quit using the guitar and its whereabouts remained a mystery. 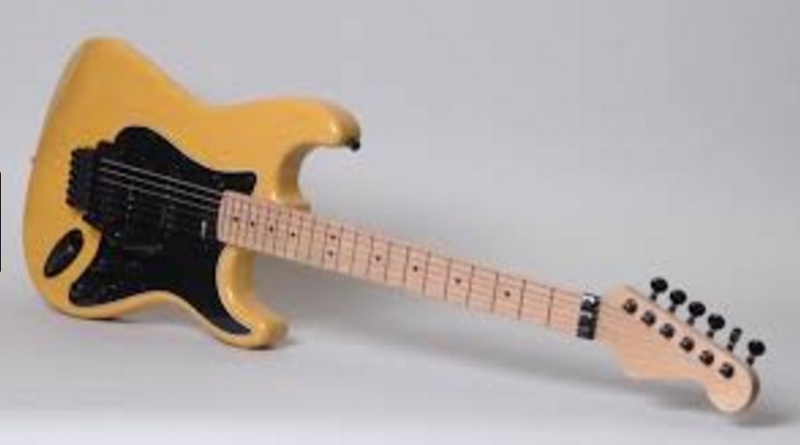 Frank’s son Dweezil found it in a stairwell in Frank’s home recording studio. The guitar was in pieces. Dweezil asked his father if he would like it restored. Dweezil took it to his friend Jay Black, who was with the Fender Custom Shop at the time. Black put on a tortoise shell pickguard and Lindy Fralin pickups using traditional Fender wiring. He also add a new neck with a reverse Fender Strat headstock. Dweezil presented it to his father as a birthday present. Later, Frank gifted it to Dweezil. 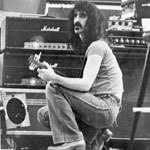 Although Frank Zappa was a fan of the diminutive Pignose, his choice on stage amp was a 100 watt Marshall JMP head through various speakers. 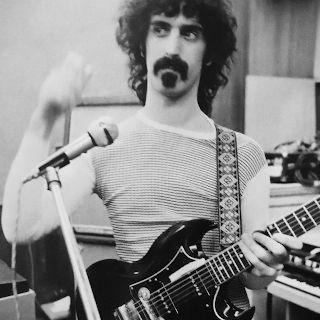 For recording Zappa employed a Fender Deluxe. There were other guitars associated with Frank Zappa. 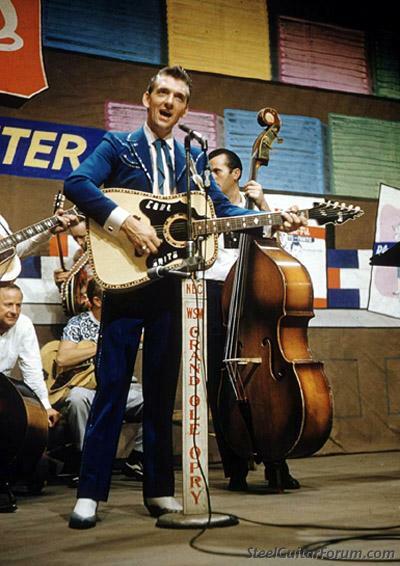 He owned an ES-5 Switchmaster that was featured on some early recordings. 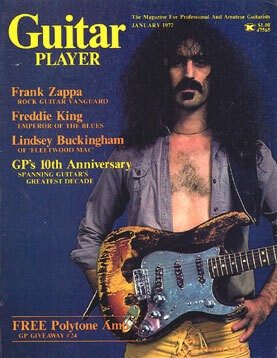 Zappa also owned a Les Paul Custom guitar that had a Dan Armstrong Green Ringer installed in the body cavity. An extra knob was added to this guitar which was actually a nine position rotary switch. This allowed for split coil and out-of-phase sounds, as well as series and parallel options. 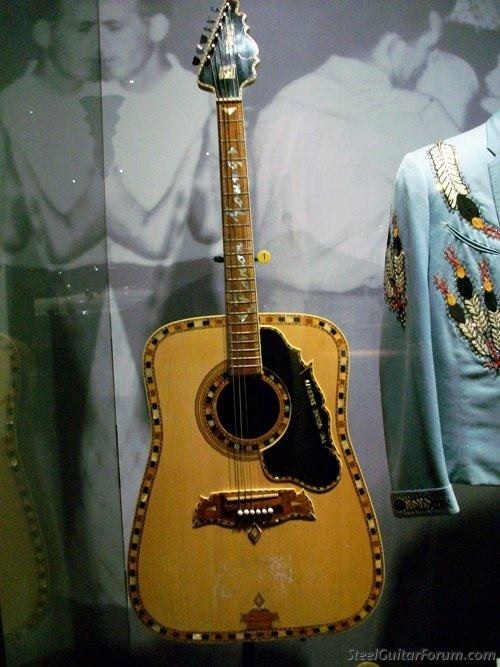 Zappa owned a Martin D-18S 12 fret guitar that he used on a few of his recordings. The “S” stands for slot-head. The 12 fret body is larger than a dreadnought, so the sound is bigger and warmer. Frank acquired this guitar from the Turtles lead singer, Mark Volman. 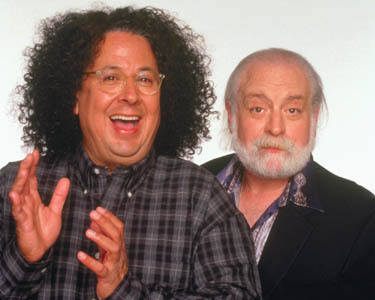 Zappa fans should know that Volman and Howard Kaylan of the Turtles, became Flo and Eddie and started in Zappa’s band. 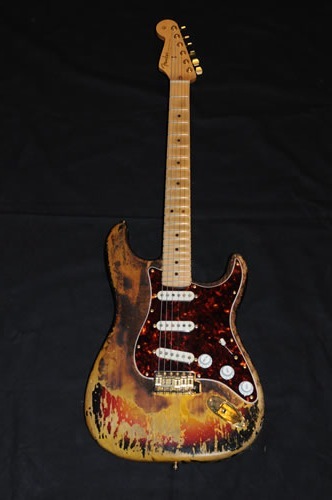 During Frank’s final tour he utilized a Performance solid body guitar, which was made by Performance Guitars of Hollywood, California. This guitar was fitted out with lots of bells and whistles in the form of tiny trim-pots that were adjustable with a tiny screw driver. These potentiometers were able to tweak the tone that Frank needed. Two of the pots were for bass and top end frequencies. The guitar included a variable resonant frequency adjustment or a “Q” knob that allowed Frank to control feedback characteristics based on the size of the room he was playing. Frank's music is not something you would hear on most radio stations. It is orchestrated, tempos and time signatures change. The vocals...well they are different. To some degree it is part serious and part parody. Frank surrounded himself with fine players, that could read music. The names of his songs/works are humorous and so are the lyrics. Below is a mix of Frank's genres.